A corporate annual report design that makes for thought-provoking and engaging reading. Our client – one of the 14 local power network operators in the country – provides power to almost 2.5m properties and businesses in the North West. Employing 1,600 people in the region, innovation and sustainable development of cities and countryside alike are at the heart of what Electricity North West does for their customers and shareholders. The company wanted their annual report to reach out to their audience in a way that embodied their future-thinking ethos, whilst acknowledging their heritage. They needed a fresh take on report design. 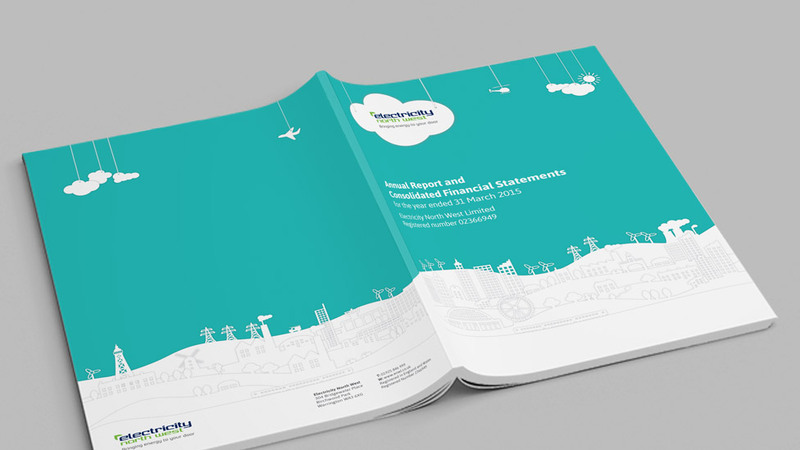 We produced an effective corporate annual report design that delivered so much more than information – it makes for thought-provoking and engaging reading. Electricity North West’s network covers a wide range of areas, from the deepest rural Cumbria to constantly growing urban and heavy industry hubs like Manchester. Our design incorporated those elements in a harmonious way. Playful illustrations placed on a rural background showcase the interaction between the company and its customers in those areas, and bring the company’s daily efforts to life. The fresh and contemporary colours evoke our client’s forward thinking nature, as well as the urban areas they support. The information is laid out in a way that allows the copy to breathe so the reader can absorb the information quickly and easily. 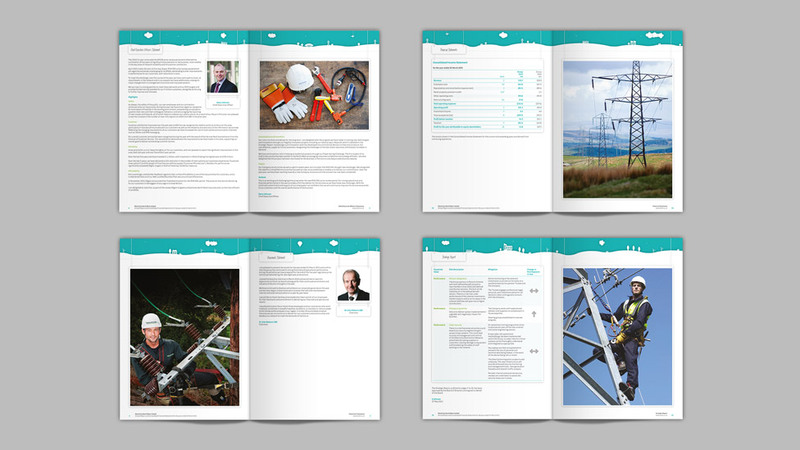 Use of high quality photography of the infrastructure and teams give the annual report an editorial feel that encourages the reader to turn to the next page. 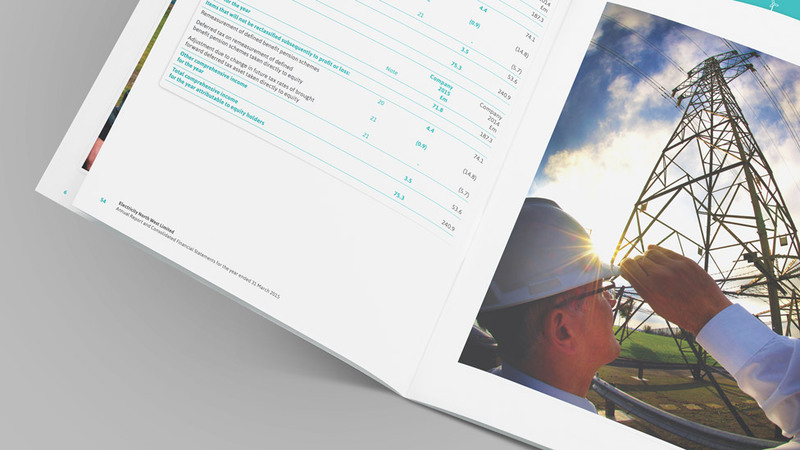 Thanks to a combination of evocative earthy colours, bright environment-based photography, well-designed data graphics and striking print design, we delivered a report that supported Shell's commitment to sustainable development. 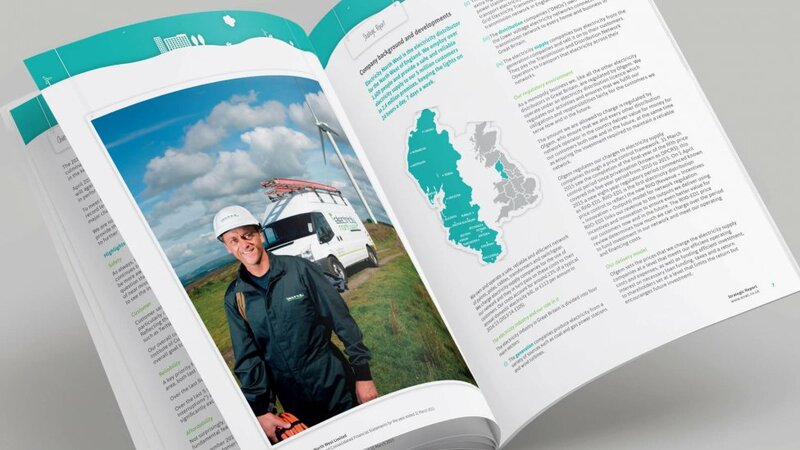 As part of their resident communication campaigns, United Utilities regularly ask Parker Design to complete booklet printing projects, from initial design concepts through to final print and delivery, including commissioning bespoke professional photo shoots and unique graphic illustrations.